Oooh boy, this is late even by my own standards. Let’s fix that quick and I do mean quick. I like Raphtalia but I’m with Naofumi, she really didn’t need to get her slave crest redrawn to show her loyalty. Frankly, the more this show could distance itself from that facet, the more easily I can enjoy it. Plus, that must’ve been a waste of money. 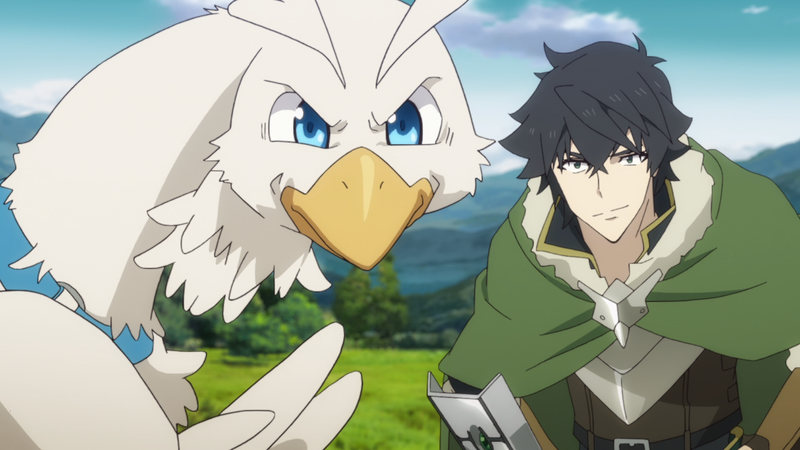 Anyway, I did somewhat enjoy the introduction of Filo, a Chocobo-like creature that Naofumi obtains in a mystery box deal. The animators provide a lot of colorful facial expressions out of her design and the part where she kicks Motoyasu in the balls did get me snickering. Finding out that she can be a loli though is really, really weird. Must this show go out of its way to bump the appeal of its heroines? What’s wrong with a giant chicken? Watch on Crunchyroll & Funimation. Alright, I admit it: I horribly underestimated this anime. I thought it’d get old quick but it just keeps delivering great slice of life material, not to mention hitting me with the damn feels like it’s Truck-kun. 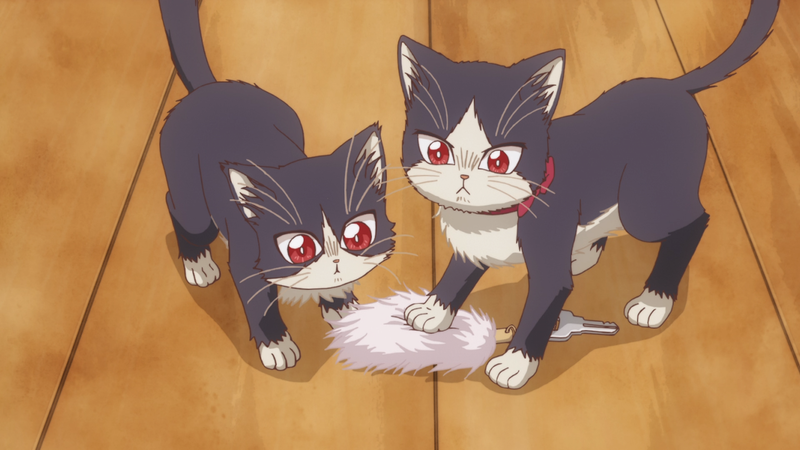 Seriously, I melted when Haru discovered that one of Nana’s pet cats is actually her little brother. I mean, I’m glad this show isn’t that dark to the point that it implies dead cats but ugh, my heart couldn’t take such a heartwarming reunion. At this rate, I don’t know if I’ll be mentally prepared for what the rest of the show has in store. There’s plenty of other great moments too such as Nana teaching Subaru more about raising a cat and Subaru realizing he needs to call Haru by name more often in order for their bond to deepen. 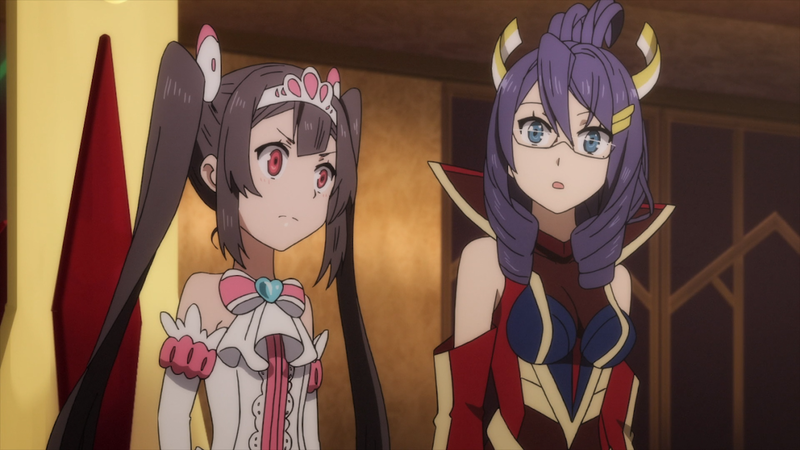 I like how this episode is called “The Crossroads of Fate” but the only encounter Yuuki and Stella have is when the former sees the latter on some camera footage for a few seconds. Look, I am finding myself bugged by The Price of Smiles‘ pacing. It’s not slow to the point that I’d get bored but it is slow enough where I want it to speed it up instead. Like, it is getting ridiculous how long it is taking for the two main characters to meet. The ending also bugs the hell out of me with how all the adults betray her trust so that they can have her fight another day. Considering that her arc is about doing things her way and not let others control her life, this feels like a massive step backwards. And this scene happens right after Yuuki started leading the army herself. This entry was posted in Anime, Episode Reviews, Lightning Rounds and tagged Action, Anime, Doukyonin wa Hiza tokidoki Atama no Ue, Egao no Daika, Episode Reviews, Isekai, Kinema Citrus, Lightning Round, Mecha, My Roomate is a Cat, Pet Cat, Tate no Yuusha no Nariagari, Tatsunoko, The Price of Smiles, The Rising of the Shield Hero. Bookmark the permalink.